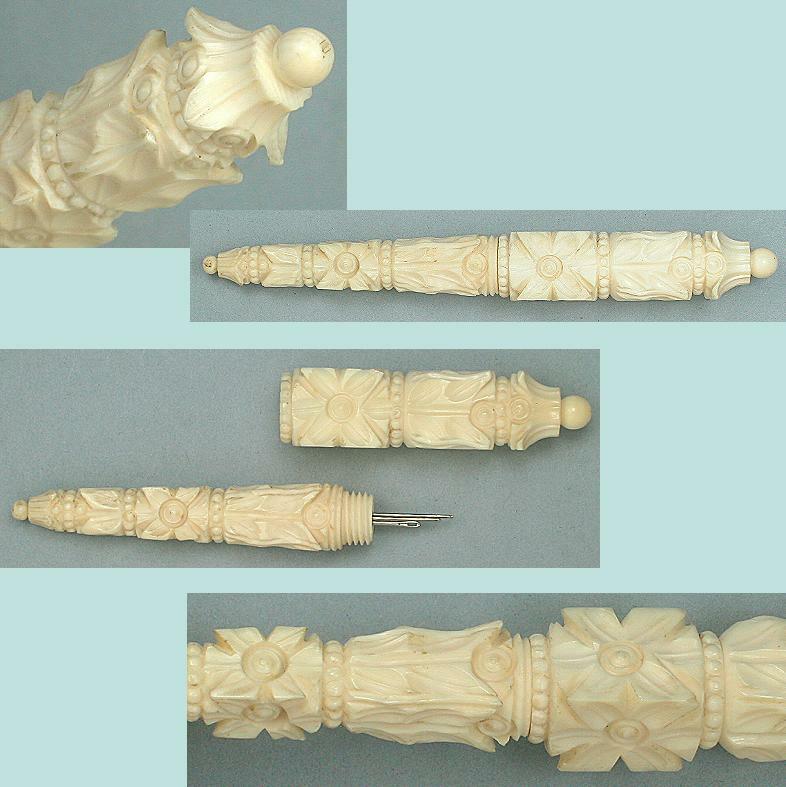 This gorgeous needle case is deeply carved of real ivory with a variety of designs. The condition is excellent with no chips or other damage and it screws together perfectly. It has a lovely old patina and ivory grain pattern and measures 4" long. It was made in India for English export in the early 19th century. 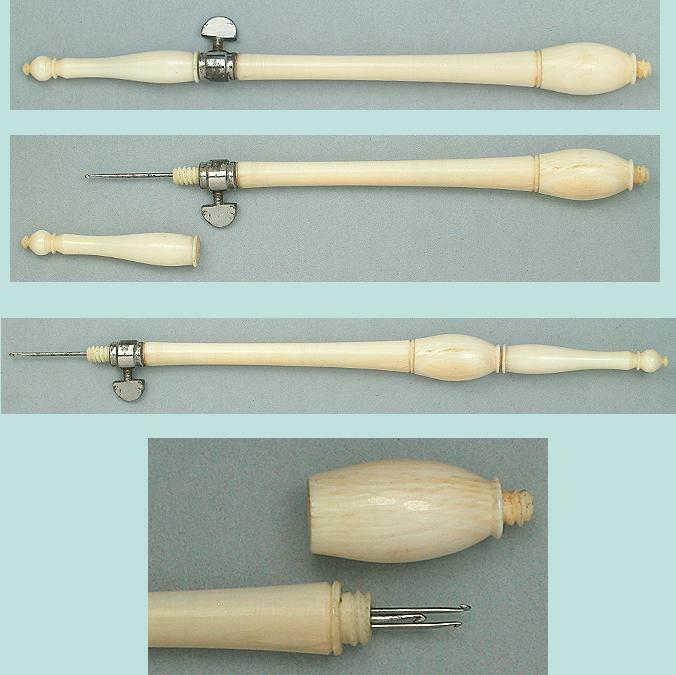 Similar ones are shown on p. 88 of Nerylla Taunton's book "Antique Needlework Tools and Embroideries".